Arkade is one of only a handful of certified Shopify Plus Partners in the APAC region, specialising in the strategy, design and development of beautiful Shopify and Shopify Plus ecommerce sites. With the launch of Magento 2.0, an unprecedented number of enterprise businesses have re-platformed to Shopify Plus, while at the smaller end of the scale, those businesses looking to grow quickly with the peace of mind of a hosted solution, have made the switch to Shopify for it’s scalability, flexibility and reliability. As the world’s leading multi-channel commerce platform, powering more than 400,000 businesses who have collectively sold more than $34 billion worth of products online or in-person, shifting from a Magento agency to Shopify was a no brainer. 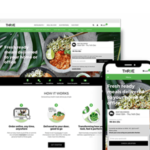 The ability to customise and build truly reliable, scalable solutions that can help us create the ultimate experience for our clients’ customers became a driving force in choosing to work with Shopify as our recommended ecommerce platform. At Arkade, we will work with you to develop a strategy that will craft the perfect ecommerce experience for your customers, integrating seamlessly with your wider CX and technical ecosystem. 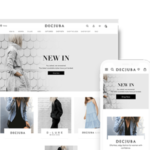 From there, we will map out a plan and begin your designs to start bringing your solution to life, before completing the development and integrations you need to launch your new ecommerce site to the world. Although Shopify provides world class 24/7 support, so do we, and we will continue to offer support throughout your time with us as we continue to iterate, improve and add new features your site with you as your business continues to grow and expand. Full storefront customisation and no product limits. More payment gateways and integration products than any other ecommerce provider. No upgrades, patches and point releases – ever – as a fully hosted solution with 99.9% uptime and 24/7 monitoring. Access to more than 1500 apps allowing for additional storefront functionality . Trusted by to power the sites of more than 500,000 businesses around the world including brands like RedBull and The New York Times, selling more than $46 billion worth of products. 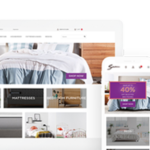 The Shopify and Shopify Plus platforms provides businesses with a home, including a fully customizable website, online store, and blog with limitless potential. Unlimited bandwidth, product inventory, and customer data means the sky’s the limit while selling anywhere your customers are, including via multiple sales channels like Amazon, Facebook, Pinterest and many more. Unlike non-hosted solutions that require a third party or in house team to manage your servers and other architecture, you will also have peace of mind knowing your business is safe and always online. Shopify provides industry leading security and reliability with 256-bit SSL certificates, Level-1 PCI compliance, and 99.9% uptime. That means you can relax knowing your site is secure for your customers, and will be able to handle the massive traffic loads seen by retailers with the increasing popularity of flash sales and sales events such as Black Friday, Click Frenzy and Cyber Monday.